Leo Burnett London has released an advert created for the multinational DIY and home improvement retailing company B&Q, promoting the Denia bench & box, available at £97 each. The 60-second spot features an extended family consisting of a single mom of a young boy who moves together with her new husband, who also has a young boy. The problem is that, from the very beginning, the two kids do not get along. 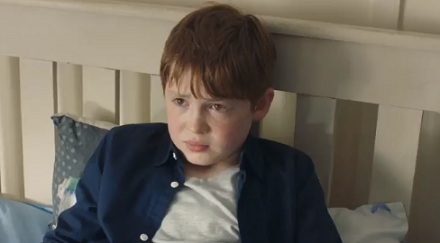 Throughout the ad we see all kind of annoying things they do to each other, such as pushing away the cups won at contests to put on the shelf other stuff, hijacking the armchair and the remote, going for first at the bathroom and shutting the door into the other’s face, taking the other’s juice box from the fridge. In another situation, when they run at their parents, in the garden, they put an end to their “rivalry” with the “help” of Denia bench & box. One of them takes it out and invites his stepbrother to sit so that they could all stay together. “Start something new with Denia bench & box, part of the innovative garden range designed for B&Q”, says the voiceover at the end of the advert. The song playing in the background is “Boy” by acclaimed 23-year-old singer/songwriter from Minneapolis-Saint Paul, Minnesota, John Mark Nelson, from his 2014 album “Sings The Moon”.